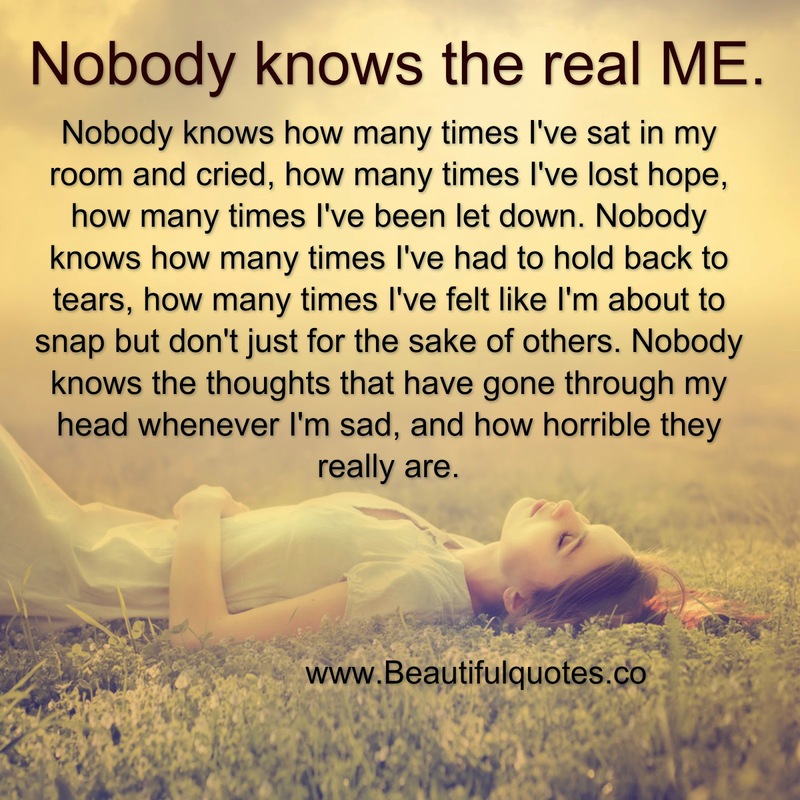 google-site-verification: google8d8438b214143f71.html Beautiful Quotes: Nobody knows the real ME. Nobody knows the real me. Nobody knows how many times I've sat in my room and cried, how many times I've lost hope, how many times I've been let down. Nobody knows how many times I've had to hold back to tears, how many times I've felt like I'm about to snap but don't just for the sake of others. Nobody knows the thoughts that have gone through my head whenever I'm sad, and how horrible they really are. If someone comes into your life and has a positive impact on you, but for some reason they can’t stay, be thankful that your paths crossed and that they somehow made you happy, even if it was just for a short while. Life is change. People really do, come and go. Some come back, some don’t, and that’s okay. And just because one person leaves, doesn’t mean you should forget about everyone else who’s still standing by your side. Continue to appreciate what you have, and smile about the memories..